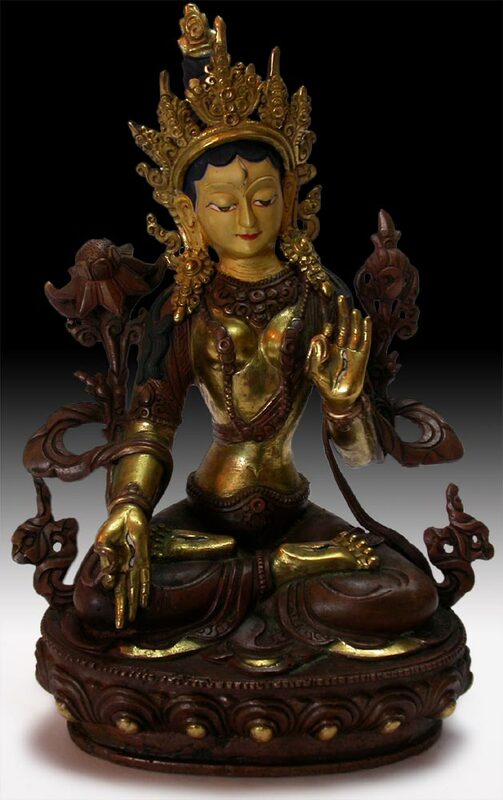 This seven-eyed Goddess of Long Life White Tara is seated in lotus posture on a lotus throne. 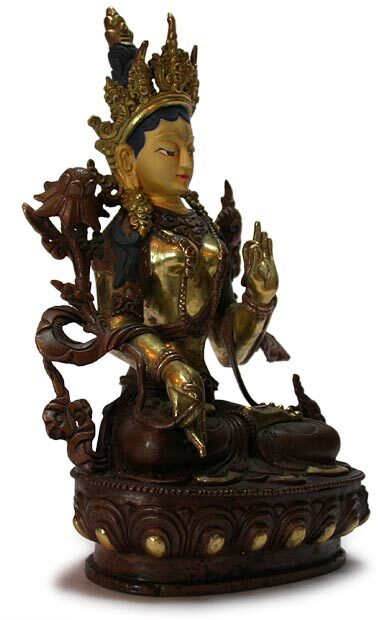 She is wearing a large crown, her cold gold painted face slightly leaning to the right, hands in teaching gesture (Dhyana mudra ), and holding two Lotus flowers on either sides of her shoulders. White Tara is dressed in a pleated dhoti with strands of pearls and arm bands. The incised details of her youthful face, her large almond-shaped eyes and urna, long, narrow nose are features that reflect her Indian origin. There are twenty-one forms of Tara. The two most important forms are Green Tara and White Tara. 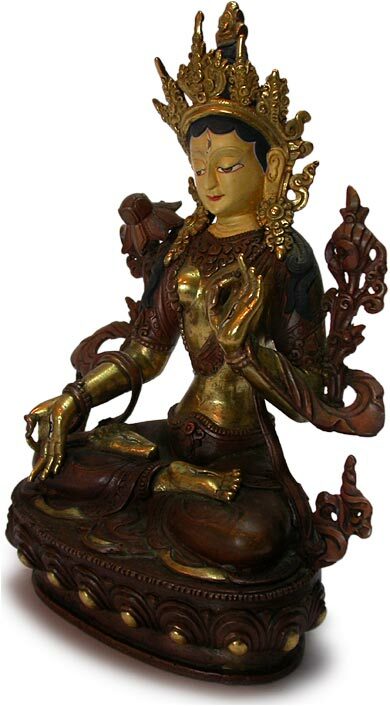 White or green, she is a female Buddha and meditation deity, born from a compassionate tear of Avalokitesavara, White Tara is the goddess of long life. Her name, "tar", is derived from Sanskrit, meaning "to cross over", as she is one who helps sentient beings to cross over the ocean of samsara (worldly existence). 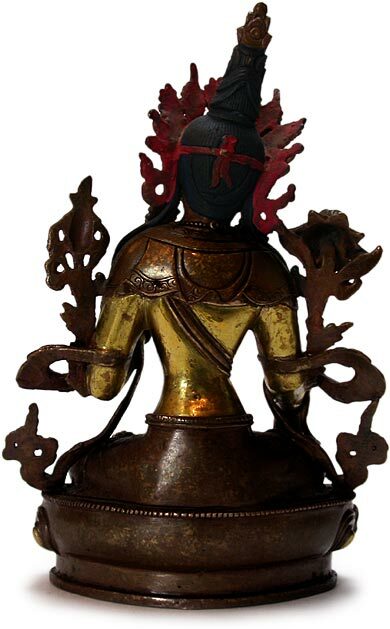 Tara was introduced into Tibet in the seventh century, and became the most popular goddess ever since.